Pharmacy and Hospital ADT systems can easily integrate into MED e-care’s eMAR and ADT systems eliminating redundancies such as double entries. Medication flow seamlessly from the Pharmacy system into the eMAR system in real-time to allow for immediate administration of a client’s medications. 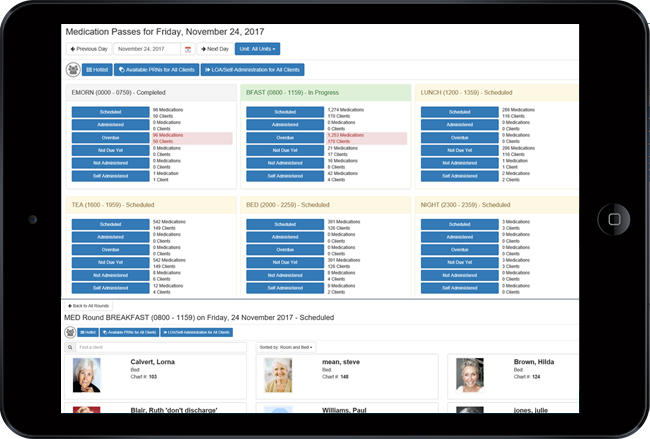 Admission and Discharge data from a hospital’s admitting system can flow into MED e-care to facilitate the use of MED e-care’s comprehensive assessment systems for CCRS, NRS, OMHRS and CHA.